May 8, 2018 Dr. R. A. Often as we journey from one side of the shore to the next we are faced with unexpected storms which threaten to destroy both the vessel in which we travel and our lives. This result in a heightening of our fears as everything around echoes doom and gloom. The fact that we are several miles from shore robs us of the opportunity to turn around. Our vision is impaired by the darkness of the night. And we find ourselves struggling to stand as we battle the rough sea and headwind. Notwithstanding, forging ahead is the only thing that makes sense, therefore, with a death grip, we grasp to the smither of hope to make it safely on the other side. In these moments we feel alone and the thought of being rescued is definitely aloof. The disciples Matthew 14 felt the same way. They were instructed by Jesus to travel to the other side and on their journey encountered a gruesome storm in their night season. With their lives at risk, they clung to the boat hoping to make it to the other side; their minds and hearts are stuck in panic mode. In the midst of all that was happening, the saw Jesus coming towards them walking on water. Captivated with fear they screamed that it was a ghost. However, Jesus spoke to them encouraging them to not be afraid. At that moment, one of His disciples did the unexpected. He asked to step out of the boat unto the water. With permission granted he stepped out. The boat at that time represented the only thing that was safe. Nevertheless, Peter was willing to abandon safety to walk on water with Jesus. Are you willing to ditch your place of comfort so that you can defy even the laws of nature? You see nothing miraculously impossible will happen in the boat. To experience the impossible you must be willing to step out. It is time to get out of the boat and begin to walk on water. It is time to experience results from everything that you and others have labeled impossible. It is time to experience the change that you have been hoping for. Success is waiting for you to step out. GET OUT OF THE BOAT! January 2, 2018 January 3, 2018 Dr. R. A. Life has a way of veiling our vision so that we are unable to clearly see who we are and who we were designed to be. Our sight gets blurred by life’s experiences. The resounding voices declaring that “you are not good enough,” “you will never become anything,” “you are nobody,” “you will never be anybody,” “you are stupid,” etc., repeats perpetually in the recordings of the mind. These echoes of despair paralyze the slender nerve of effort to achieve. Leaving us laying on the sidelines begging for a handout. The menial contributions further break our spirit causing us to hesitantly plead with closed eyes. However, if we could look again and muster the courage to remove the veil, then we will astonishingly be able to see our worth and abilities. Our worth without the shadow of a doubt far exceeds the problems that we face. And our abilities are far beyond the thundering sound of naysayers. We were created with innovative and creative abilities that we have not begin to tap into. However, it requires us removing the veils. Remove the veil of doubt. Remove the cloud of fear. Remove the veil of insecurities.Remove the veil of what your mother or father said. Remove the cover of labels that were placed on you. Remove the veil of stagnation. Remove the mask of procrastination. Remove the veil. Peel off one layer at a time until your vision is clear. We need to remember that we were created in His image and in His likeness. He took time out to carefully construct every intricate fiber of our being. After construction, He breathed into us. His breath is assurance that we possess His attributes and characteristics, albeit we are imperfect. This simply means that have the same innovative and creative abilities flowing through our veins. And since those abilities flow within us we need not sit back and beg for bread. We should get up and consistently work on our dream. Prodd away one step at a time until we see it manifest before our eyes. Remember there is nothing to fear but fear itself. That which you hope to accomplish is waiting for you to put in the work. Dig if you must and do not quit. Never forget you have been commanded to be fruitful and multiply and subdue. Rise up and conquer that which is yours. August 17, 2017 Dr. R. A. Have you ever felt like you were a misfit? Have you ever been in a situation where you have even been told that you are not the right fit? Do you stick out like a sore thumb in your social arena or family? Have you ever felt or been made to feel like you are a square peg trying to fit into a round hole? Well, you are not alone! Often when we feel or have been made to feel like a misfit due to society’s standard or our associations, we think that we serve no real purpose or even worst are not valuable. Negative thoughts cascade through our minds and the will to break-free of the strongholds that disempower is nowhere in close proximity. However, I dare to let you know that this is not true. You are very important! You are valuable! You were designed with a purpose in mind. In fact, your creator called and fashioned you to be royalty. You were formed to be holy and peculiar, to stand out and not be conformed to the standards and imaginations of this world. Don’t believe me?? Well, the manufacturers manual is filled with case studies of those who were considered to be misfit heroes. Not only were they misfits but they were viewed as broken, barren, undone, unworthy, not good for anything, etc. But the beauty in these stories is that it did not end with them remaining in the state that they were viewed. Instead, like a butterfly, they were transformed from their seemingly ugly cocoon stage to a masterpiece of beauty. Misfit heroes like David, Joseph, Moses, Jabez, Ruth, Rahab, and Jesus stories turned around. David who was deemed only good enough to attend to the sheep, yet in the end, he became the king of Israel. Joseph was hated by his own family, sold into slavery and imprisoned for being lied on. Yet in the end, he became second in command to the leader of Egypt. Moses had to be placed on a river in a basket, separated from his birth parents, and run away to the backside of the desert to save his life. Yet, in the end, his story turned around, and he became the deliverer of the nation of Israel. Jabez was named one who makes sorrowful as his mother gave birth to him in pain. Yet in the end after crying out to God, he was blessed, and his borders were enlarged. Ruth was an Edomite, an outcast, and had lost her husband. Yet in the end, her story shift from being an outcast and she married one of the wealthiest men. Rahab was the ultimate cast away as she was a harlot. She was looked down on because of choices that she had made, and was often scorned and talked about by those in her hometown. Yet, in the end, her family was saved because of her, and it was through her lineage that the Savior came. Jesus was born in a manager, he was looked upon as only a carpenter’s son and was questioned as to whether or not anything good come out of Israel. Yet in the end, he became the Savior of the world. Today you may be faced with the challenge of not fitting in, but do not worry, you were born to stand out. Do not let the pressures of wanting to be a part of something causes you to conform and change who you are. You were born to be the best version of yourself. Go ahead and be the authentic you. Yes, you may be quirky, not educated, highly educated, slim, wonderfully plump, not popular, not wealthy, or whatever you may view as your downfall, but you are you. You are designed to prosper and to be successful. Take the limits off yourself. You story regardless of the trauma that you have endured has not ended. Your best is yet to come. Shine forth and be the authentic you that you have been called to be, that the world is waiting to see. August 15, 2017 Dr. R. A. Knowing that with God’s help we will achieve the goal. May 17, 2017 May 18, 2017 Dr. R. A. Having desire and passion is a good thing as these are necessary to propel us to achieve success. However, sometimes if we are not careful we can become obsessed with things, people and even places, which hampers us from seeing clearly and making good decisions. This is because all of our thoughts are consumed by that which we desire. This state of being if not checked will lead to our demise. The Bible tells a story about a man named Amnon who was in love with his brother’s sister Tamar. This feeling of love soon developed into obsession as she was all he would think about. He was so desperately obsessed that he became sick and it was evident that something was wrong. His thoughts became skewed as he thought he would never be able to have Tamar. With the help of a “friend,” he devised a plan that would allow the king to send Tamar to his house to make food for him and feed him. After she had made his meal, he sent his servants away and asked her to feed him. When she attempted to perform his request, he grabbed her and began forcing himself on her. She pleaded with him not to do this evil thing but instead advised him to ask the king for her as she was certain his request would be granted if that was what he desired. He would not give heed to her advice, however and raped her. His obsession would not allow him to hear the good reasoning. He was blinded by his dangerous obsession. After he had done this evil, he hated her more than he loved her and had her thrown out of his house. Her brother saw her crying and hid her but hated Amnon because of what he did to his sister Tamar. Eventually, Tamar’s brother killed Amnon because of what he had done to his sister Tamar. Had Amnon not been so dangerously obsessed with Tamar he would not have been killed by Tamar’s brother. What is it that has consumed your thoughts? Who is it that has consistently captivated your thoughts and heart? Have you become bitter because of situations that you have been through that has caused pain, humiliation, disgrace, etc.? What is the cause of you becoming dangerously obsessed? Today ask God to turn the search light within your heart so that whatever has caused you to become obsessed can be addressed before it leads to your detriment. Prayer: God today I ask You to help me to acknowledge the things, places or people that have consumed my thoughts. Empower me to release the pain of the past and accept healing for the present. That which has hampered my growth in You I ask You to strengthen me to walk away from it. Open my eyes that I may clearly see that the things of this world that I have been dangerously obsessed with are not worthy to be compared with the things of the Kingdom of God. Empower me to flee from the allurements of this world that will captivate my spirit and eventually cause me to die. I commit my thoughts into Your hands and ask that You help to think only on things that are just, honest, lovely and of a good report. Help to think upon things that adds virtue to my life and give praise unto You. Amen. May 15, 2017 May 15, 2017 Dr. R. A. As individuals we all have ideas. Some believing that their ideas are more superior to that of others. However, if we could have an open mind then we will see that there is real no inferior or superior idea. All that is required is for us to come together and collaborate our individual ideas to form a grand one. People thought that Thoms Edison was crazy when he thought about creating a light bulb and even more so when it took him over 3000 tries to get it together. 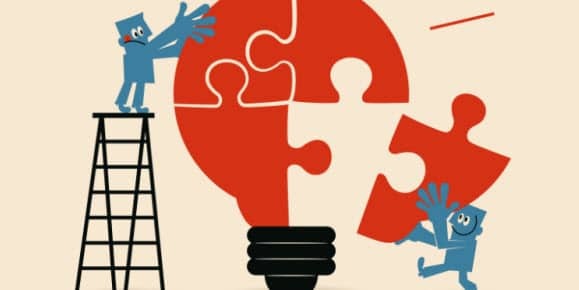 Although his idea was a great one it required collaboration with others to get it done. He and his team had to engage in a graceful dance to see the dream fulfilled. Remember: Collaboration through teamwork will make the dream work. May 3, 2017 Dr. R. A. There are various leadership styles all of which serves their purpose if implemented correctly with the right personality type. Some persons, however, do not need to be in management positions as they will drive away good employees leaving the organization to suffer. 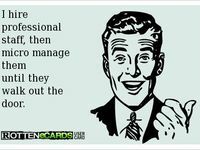 Some leaders I would say are gifted with the ability to micromanage. They hire professional employees to get a task done and use their gift to chase individuals away while their plastic smile is painted on their face. For those “gifted” leaders I say stop it! Stop using your gift that does more harm than good to create hostile work environments. Stop abusing your position of power to prove how effective you are as a leader. Allow people to breathe. Allow them to do the job they were hired to do. No one likes to be stifled so just stop it. If you want to kill an organization, create your own and use your gift. Maybe then you will realize how your gift is really not a gift. March 26, 2017 March 26, 2017 Dr. R. A. People are often misguided into thinking that to achieve greatness then selfish desires must be on display. From an early age, the passion for aspiring for more has been ingrained into our psyche. We want a higher salary, corner office, lofty titles, etc. as the perception of having these things will validate our identity. However, our source of identity is never found in the things that we own. Our source comes only from the One who formed and fashioned us when we were in our mother’s womb. 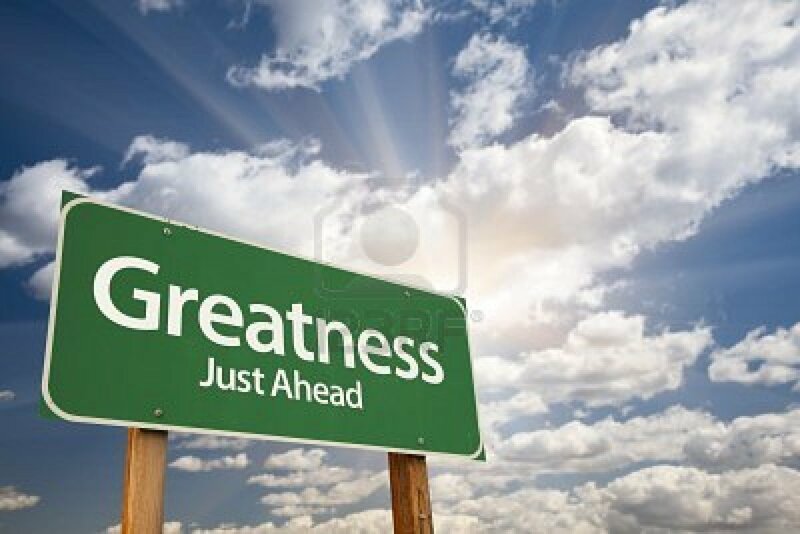 Additionally, greatness we desire is not obtained by achieving these things. Although these principles if applied may enable one to reach their goal of obtaining material things. These actually does not indeed allow one to become great. Greatness in its truest form can only be achieved through selfless service. Now I know that with technology most individuals are trying to prove just how selfless they are by helping others and recording or live streaming their actions. Sometimes these things are done to get notoriety which does not please our Maker. True selflessness is not focused on gaining a platform but loving and serving others where they are even if there is no spotlight. The Bible states that whoever wants to be a leader must be a servant. God’s ways are always different from the ways of men. To be great then one has to submit themselves to God’s leading. Our thoughts have to be transformed by God so that we can know His will for our lives and be pleasing unto Him. Do you want to be great? Well, give yourself completely over to God and let Him lead. It is within reach, just ahead if we allow Him to direct our path. Prayer: Lord help us to surrender our lives completely to You and Your leading. Let the spirit of obedience rest on us so that we will walk in the precepts and statutes that You have outlined. Help us to surrender our emotions to You so that anxiety does not subdue us. Remind us continually that Your ways and thoughts are higher than ours. Strengthen us to resist the values of the world and the pressure to conform to its ideologies. Empower us to pursue the kind of life that You have created us to obtain. Amen. March 20, 2017 March 20, 2017 Dr. R. A. Everyone desires to be great. As a matter of fact, greatness is the undertone of every conversation. Various books, movies, and articles have been written about how to be successful. The definition of success for individuals is being skewed by that which society defines as success. Persons that are not yet at the pinnacle of society’s definition of success are feeling the weight of the waves of pressure to perform. The heights of the waves have gushed over them leaving them sinking into the dark deep hoping not to drown in their own despair. Appreciation for humble beginnings is almost a thing of yesterday. Instead of praise, the slow, long and tedious process of humble beginnings is acknowledged with a curse. Appreciation for humble beginnings is almost a thing of yesterday. Instead of praise, the slow, long and tedious process of humble beginnings is acknowledged with a curse. However, if we stop allowing society to define success for us, then the pressure to perform will lessen. We will be able to enjoy the journey knowing that success lies in the journey and not the destination as it has been depicted. We often tend to forget that in the process of small beginnings we learn how to have humility. That may not seem to be rewarding, but its value is priceless. I say this because pride always comes before destruction, however, with humility comes greatness. Humility is like fertilizer to our heart which results in us having a right spirit no matter our current circumstance. Additionally, small beginnings teach us to have the proper work etiquette and how to be grateful. When we are able to work with a cheerful spirit, knowing that doing the work is a blessing in and of itself. Then even God Himself will rejoice to see the work being done. This should cause us to rejoice knowing that if God is pleased He will reward with bountiful blessings. 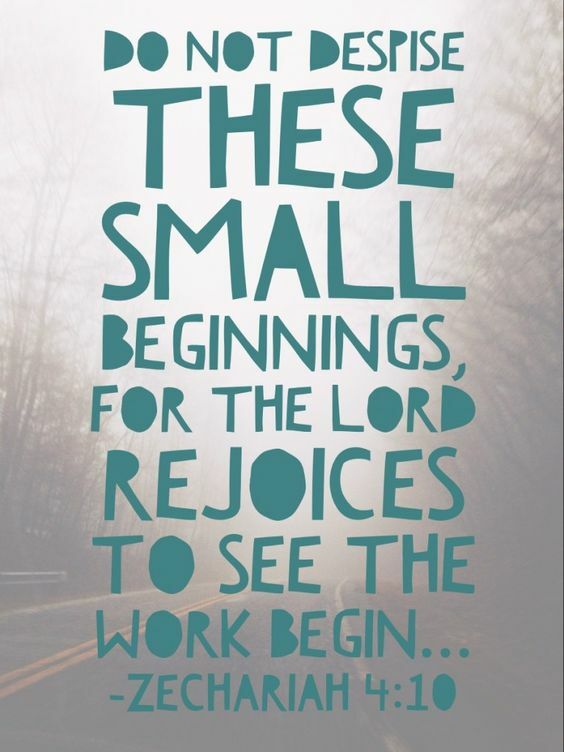 Are you in a place of small beginnings? do you have the right attitude in this season of your life? Have you been grateful while putting in the work? Do you have a patient spirit or are you filled with anxiety of moving to the next big thing? Today ask God to examine your heart as it pertains to the “small beginnings” areas of your life so that you will be able to enjoy the journey and be rewarded greatly. March 13, 2017 Dr. R. A.
I am a birthday person. Today, I am particularly thankful that I have lived to see another year. Every year since I was a child I would look forward to my birthday. I believe this was something that was instilled in me by my parents. Especially my mother, as she would make much to do about my birthday. 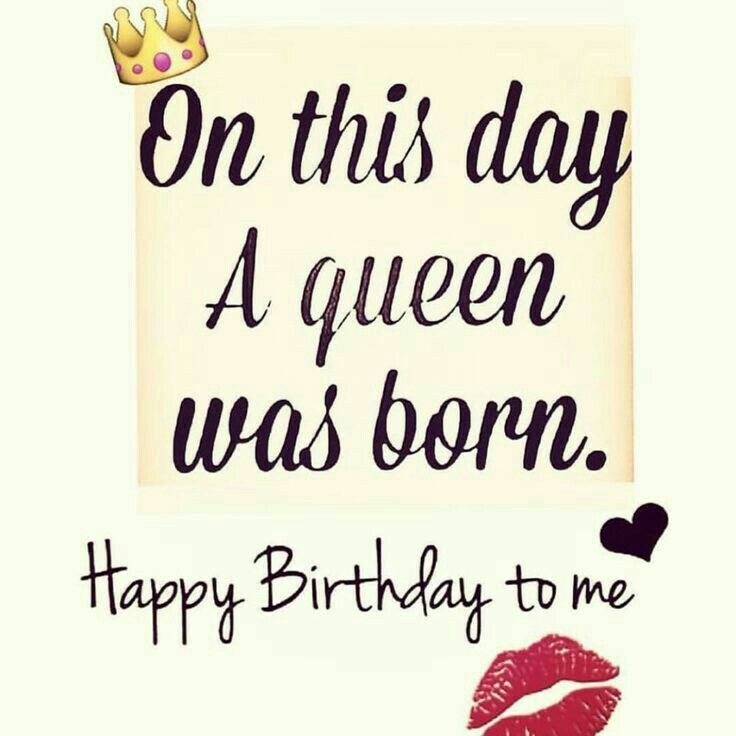 Honestly, I felt like a princess growing up as it pertains to my birthday. So now that I consider myself to be all grown up, I have taken on the role of a queen. Generally, I do not make plans for my special day as that is usually situated by both family and friends. However, this year was different. No, I did not plan a party for myself or sent secret gifts to myself at work. Instead, I was contacted by an employer for a position that I applied for an interview. The interview was to be scheduled on my birthday. Initially, I thought I should reschedule but instead I confirmed that I could make the appointment. I have decided to make everyday count. So what better way to make a day count and do something that my future self will thank me for than going on an interview for my birthday? I hope that all of us will have a mindset to do something that we will be thankful for in the future, even if it is on our birthday. © Raquel Anderson and Issues From the Heart,2016. Unauthorized use and/or duplication of this material without express and written permission from this site’s author and/or owner is strictly prohibited. Excerpts and links may be used, provided that full and clear credit is given to Raquel Anderson and issues From The Heart with appropriate and specific direction to the original content. Join us this and every Saturday.